We’ve heard it all before , and perhaps you’ve heard a few yourself so we thought we’d run you through a few of the myths and put the bad ones to bed and bring the good ones to light ………. Ready ?! 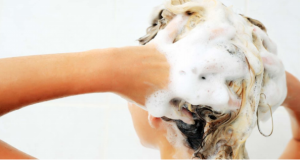 Not washing your hair will not enable your scalp to cleanse itself, it will just become dirtier, cells will get compounded in your natural oils, bacteria from perspiration will possible cause scalp infection and will also cause you to itch…… You would not stop washing any other part of your body, so why your scalp? Whether you’ve got long locks or a trendy pixie, you probably have your own unique hair challenges—maybe it’s a weird cowlick or unruly curls. In any case, separating hair fallacies from facts will help you concentrate on things that will actually help your hair grow healthier and look better. 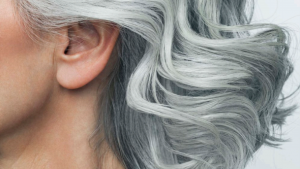 Here, myths about your hair, and how you can use the truth to your (beautiful) benefit. “Trimming your hair doesn’t affect growth,” says Guy Parsons, Founder of My Hair Doctor. “That happens at the scalp.” But there’s a reason experts suggest trimming your hair every six to eight weeks: “Frayed ends make hair look thinner and cause breakage, so when you cut them off, your hair appears fuller,” says Guy. Don’t blame the shower: If your hair is going to fall out, it will simply fall out somewhere else, albeit somewhere less noticeable (thanks, clogged drain). 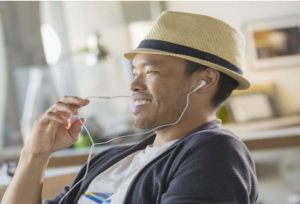 “This is the biggest myth I hear,” says Guy parsons. “People often lose hair in the shower, so they associate shampooing with shedding.” Problem is, if you cut back on washing in an effort to spare your hair, you can actually make the problem worse. “Oil buildup can cause inflammation, which stunts hair growth.” Address the real problem: “Stress is often the culprit behind mild hair loss—divorce, surgery, a death in the family can make it more severe,” says Guy. Try and add a few drops of essential oils, like lavender, tea tree oil, and rosemary, to your shampoo; they may stimulate hair growth, according to a Journal of Cosmetic Dermatology review. 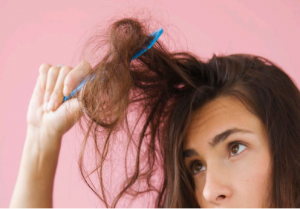 If you’ve ever groaned at the idea of running a brush through your hair 100 times a day, you’ll like this one: there’s no value in brushing your hair more than you already do. In fact, excessive brushing may do more harm than good. “Over-brushing can damage your hair’s cuticle,” says Guy. (That’s your hair’s outer, protective layer.) Brush your hair when it’s knotty, but leave it alone otherwise. 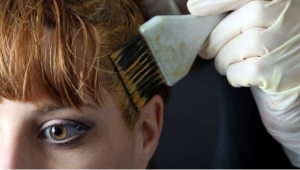 “The main concern with dyeing your hair during pregnancy is the risk associated with inhaling ammonia, not the risk of it being absorbed into your scalp,” says Carrie Ann Terrell, MD, an OB-GYN and professor at the University of Minnesota. “But the levels of ammonia are so low that it’s not a problem, especially if you go to a salon, which will have industrial strength ventilation.” Still, some women prefer the natural route. Henna is a plantderived, ammonia-free dye, making it a favorite among pregnant women. Most people think healthy-looking hair is all about external factors like the weather or the products you use. But what you eat affects your hair more than you think. “It takes your body a lot of energy to grow hair,” says Guy. “It needs nutrients.” That means if you’re on a restrictive diet, your body won’t be able to dedicate energy to your hair, since it’ll be too busy worrying about your essential organs. Make sure you’re getting enough carbs, protein, and healthy fats, and pay extra attention to zinc, iron, and vitamin D. “They’re crucial vitamins for hair growth, and a lot of women are deficient,” says Guy. Talk to your doctor about a supplement if your levels are low—especially if you don’t eat red meat (which is loaded with iron) or try our My Hair Doctor Nutritional supplement. “It’s fine to switch shampoos, if you like different effects (one is anti-dandruff, one is volumizing, and so on), but it’s perfectly fine to use the same shampoo every time you wash,” says Guy. As for that my hair looks so great with this new shampoo feeling? You’re probably just liking the novelty: Shampoos do have different effects, says Guy, but it’s not necessary to switch unless you want something new. 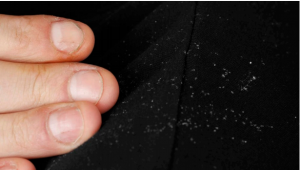 We’re used to equating flakes with dryness, so it’s an easy mistake to make, but it’s an oily scalp that usually goes hand in hand with dandruff. “Dandruff is caused by a type of yeast that tends to overgrow in an oily environment,” says Guy. “Dandruff is your body’s reaction to the yeast.” That’s a problem if you cut down on washing in an attempt to diminish dandruff: use our Scalp Health Shampoo. Yes, you should spare your hair the blast of hot air, but sometimes you just need it to be dry in 15 minutes. But what if we told you that air-drying isn’t all it’s cracked up to be? A study comparing blow-dried to air-dried found that blow-drying causes more damage to the hair’s surface (as expected), but air-drying can create damage deeper within strands. Researchers say that the interior of the hair swells when exposed to water for extended periods of time, possibly creating more damage than heat styling. (Yes, our minds were blown, too.) Your best bet, according to this study, is to use the lowest heat setting on your dryer (or hold it at least six inches away from your hair), making sure to move the dryer continuously, so you don’t concentrate heat on any one spot for too long. First you heard that you should wash your hair every day, then you started hearing that you should wash every other day. Throw all the hair-washing rules out the window, and actually pay attention to the look and feel of your hair. Everyone’s hair is different. If your hair is oily at the roots, wash it. If not, skip washing until you start feeling greasy. 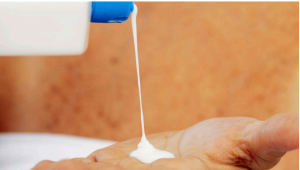 People with dry hair may want to let their scalp become slightly oily to ensure they’re not overwashing it, says Guy Parsons. Here’s a little biology 101: If you’re a man, your mother gave you an “X” chromosome and your father gave you a “Y.” (Women receive two Xs.) 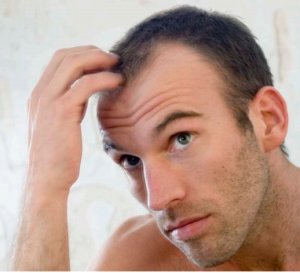 “Many people think male pattern baldness is an X-linked trait, passed down from the mother’s side,” says Luis Garza, MD, assistant professor of dermatology at Johns Hopkins School of Medicine, who studies balding. But you can’t blame mum for this one: “We suspect multiple genes, from both mum and dad, contribute to baldness,” Dr. Garza says. If you’re like most people, you exit the shower, immediately reach for a towel, and start rubbing your hair vigorously. Don’t. “Towel drying is rough on your hair, and can promote breakage,” says Guy. Instead, gently squeeze your hair with a towel, and then comb it with a wide-toothed comb to remove excess water.